On behalf of the staff and faculty of Incarnation Catholic School, I would like to extend a warm welcome to you and your family and thank you for your interest in our school. ICS has been committed to offering a strong curriculum and nurturing environment to students in PK3 - 8th grade for over 50 years, and our dedication has grown along with our achievements. We understand the competition in this town is immense. We know you have many options and you are dedicated to making the best choice for the education of your child. If you tour our campus, I believe you will see all the ways we are different from all the rest, and how we bring joy into learning each day. Our curriculum surpasses state and national norms, our students spend their day in classrooms where teachers build their lessons around the abilities and acumen of the students, our faculty is highly educated and allowed to pace the learning to the classroom instead of state standards, and our parents are involved and dedicated to giving their child a quality, Catholic education. We hope you will come visit and together we can decide if ICS is the place for your child. We are proud of our long heritage and excited by all which is ahead of us as we continue to grow and improve in Faith, Knowledge, and Service. 1965 - Grade 3 added. 1970 - The main building completed. The faculty expands to 12. Grade 8 added. 1971 - First accreditation study is completed. Sister Eugene Marie serves as principal. Music and physical education added to the program. 1972 - Initial accreditation received October 4, 1972. One of the highest scores ever given by a visiting team from Florida Catholic Conference (FCC) was awarded to the school. 1974 – Spanish added to the program. 1980 - Four portables purchased to accommodate a large enrollment with a waiting list. 1982 - The old storage sheds are removed and a new building erected. The school undergoes its second accreditation study. First band is started. 1983 - Full accreditation awarded again to Incarnation Catholic School by the FCC. At the advice of the Accreditation team, the positions of Vice Principal and Dean of Discipline are formed. Art added to the program. 1984 - Preparation begins for computer room addition in the Learning Center..
1986 - The Parish Learning Center becomes the school’s Media Center. Computer classes added to the program. 1987 - Construction begins on the Junior High wing of the school. 1988 - The old Church is transformed into St. Michael’s Hall, which serves as the school’s cafeteria and auditorium. 1990 - Full accreditation awarded again to Incarnation Catholic School by the FCC. 1992 - First lay principal, Carolyn J. Goslee, named at ICS. Full-time kindergarten established. 1995 - First 8th grade class to go to Washington, D.C.
1996 - Addition of two Junior High classrooms to replace the old MacDill Air Force Base barrack, which served as the school’s social hall. 1997 - Full accreditation awarded again to Incarnation Catholic School by the FCC. 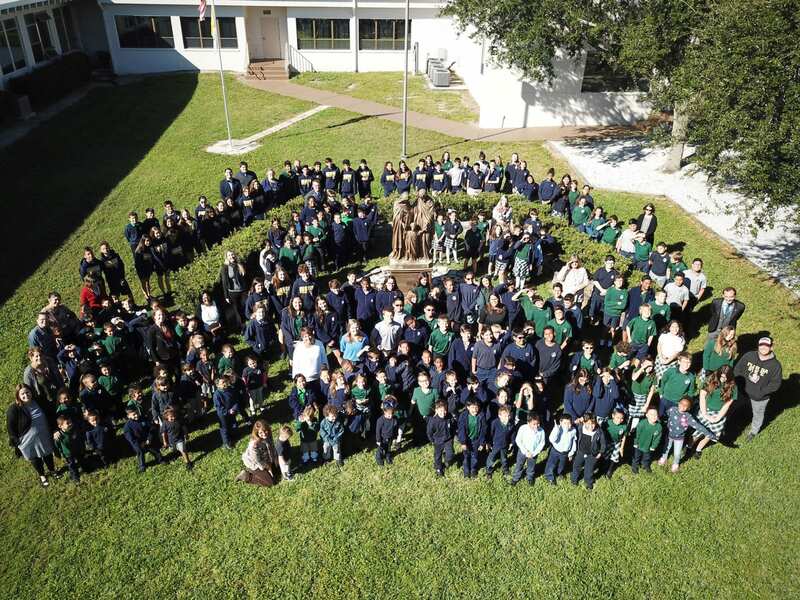 2005 - Full accreditation awarded again to Incarnation Catholic School by the FCC. 2006 - First pre-K4 class opens in the fall. 2007 - ICS Pavilion dedicated in the spring. 2010 - ICS welcomes its fourth principal Mr. Michael Zelenka. Canvas, a learning management program utilized in over 300 universities and colleges, is introduced campus-wide.